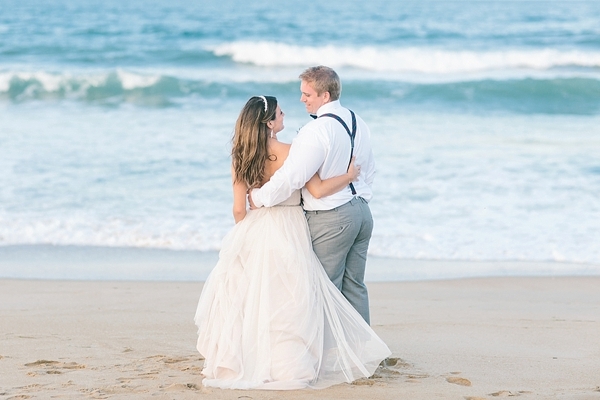 The Sanderling Resort in Duck, North Carolina is a home away from home for Natalie and Kyle and became the perfect spot for their seaside destination wedding day. 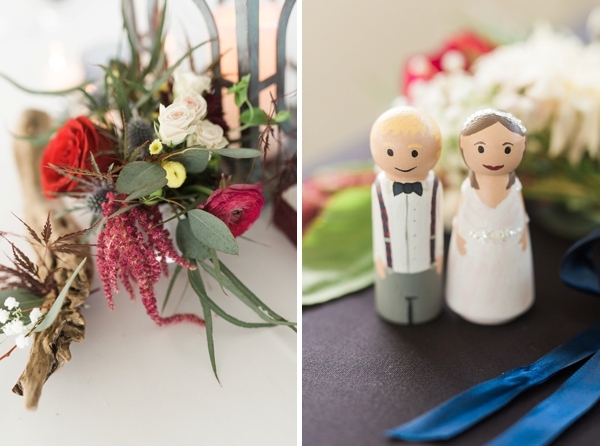 Loved ones traveled from all over to celebrate the beginning of their union underneath a bright blue sky. 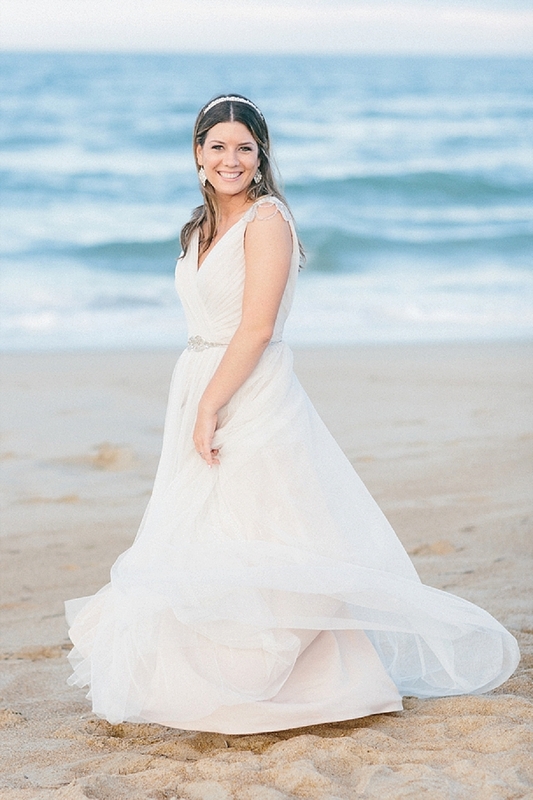 Natalie, dressed in layers of blush chiffon, matched the softness of the sand beneath her feet – and the delicate beaded embellishments are absolutely swoon-worthy for any beach bride! 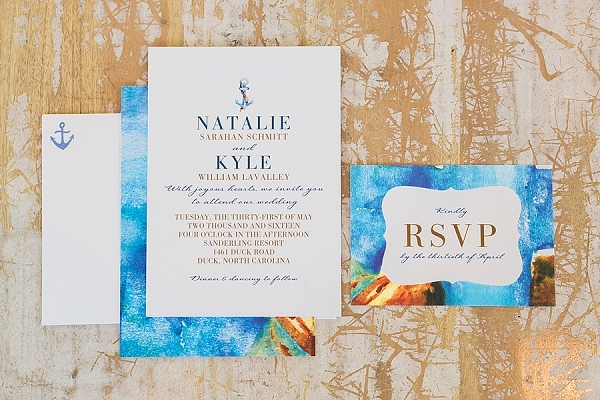 To add to the festivities, just after their first kiss as newlyweds, Natalie and Kyle looked up in the sky and were surprised to find an airplane toting a congratulations message. 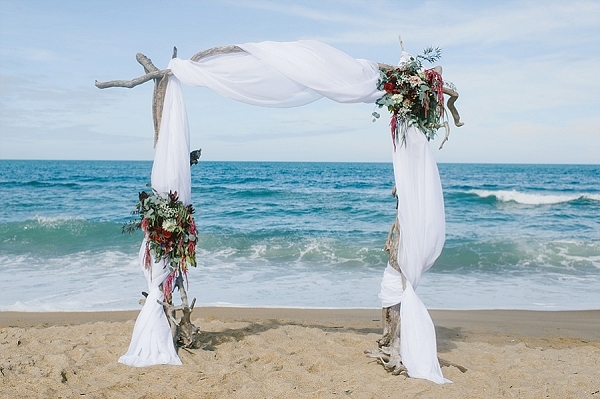 Now that's a way to make a beach celebration memorable! 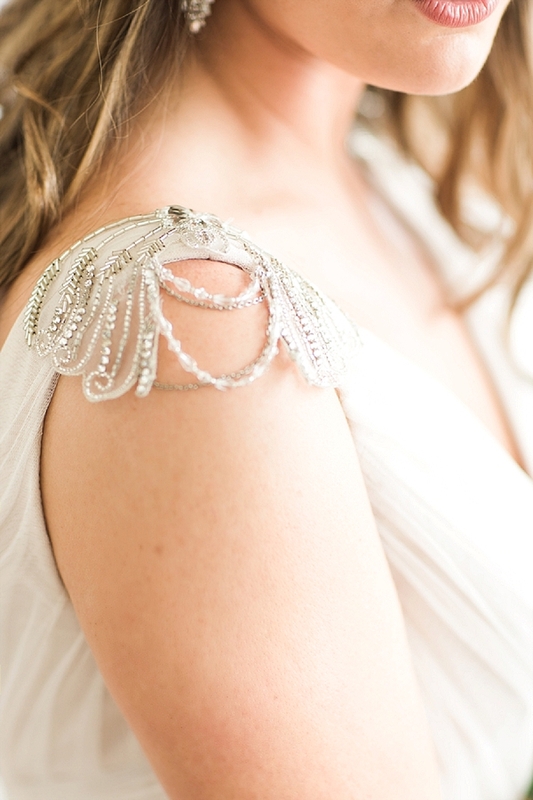 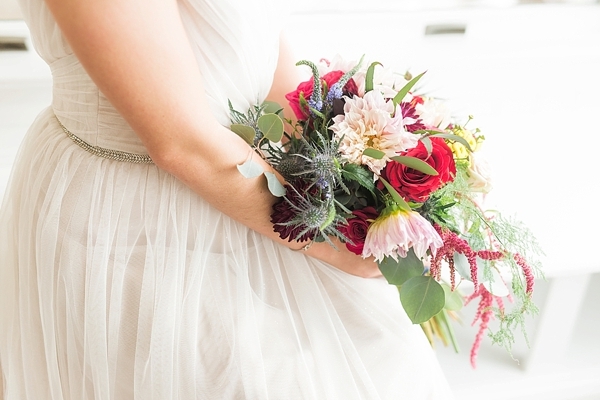 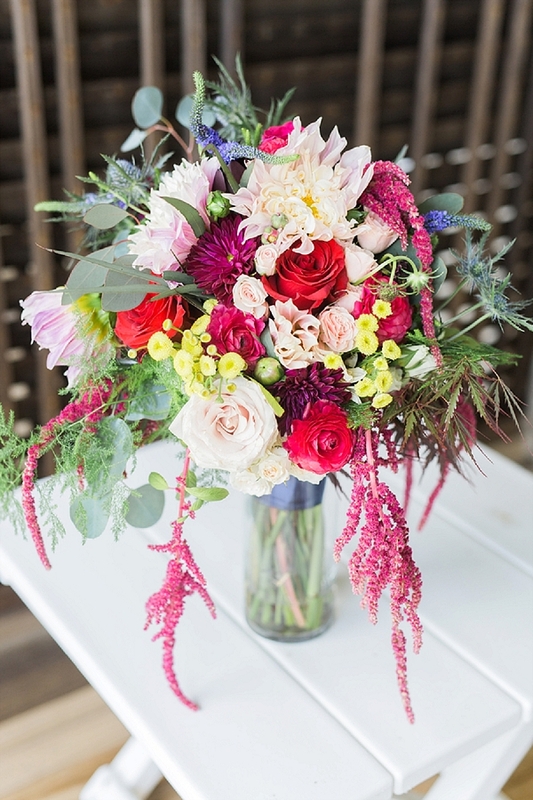 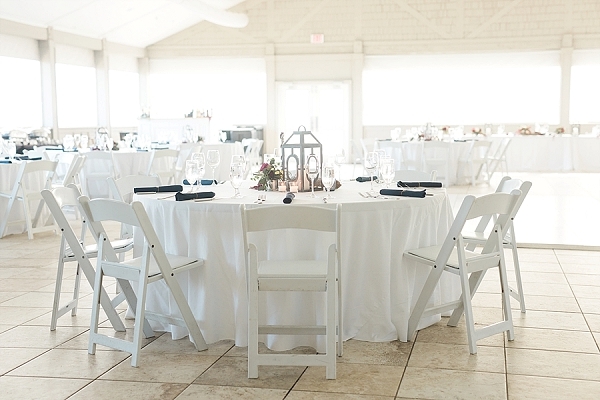 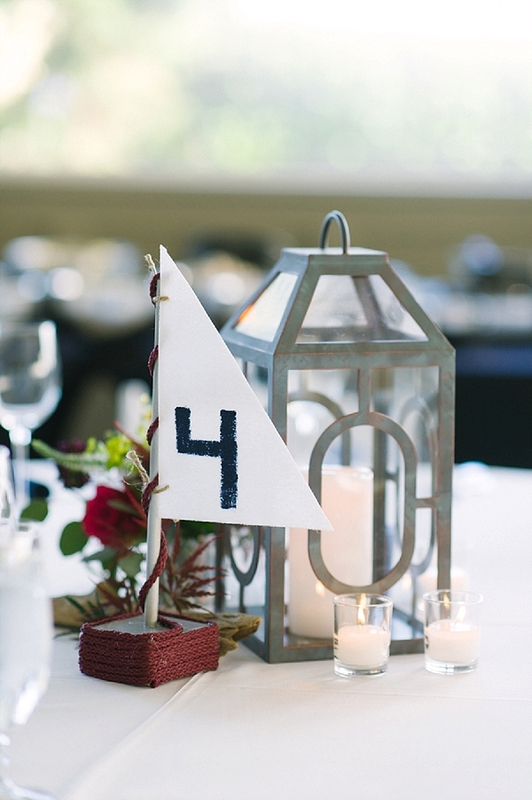 Our nautical-loving hearts were filled to the brim at the story Casey Green Photography captured. 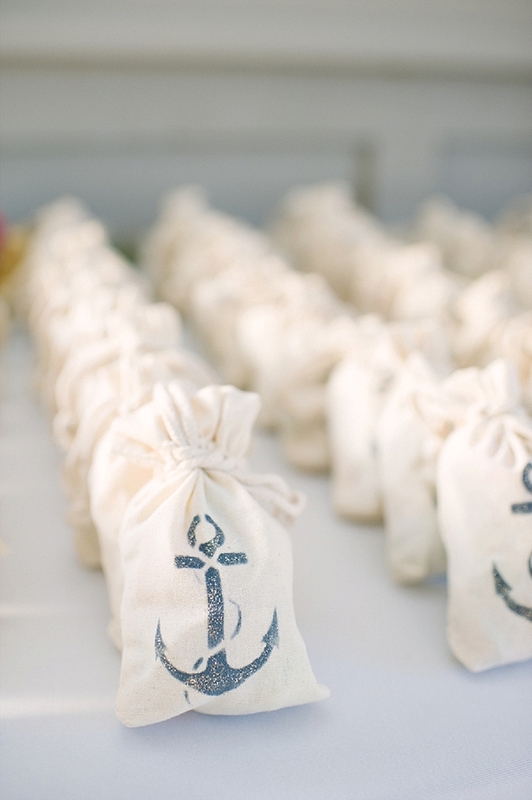 With little sailboat table numbers, anchor napkin rings, and favors wrapped in navy blue anchor stamped bags, the décor shared the couple's personality with their closest loved ones. 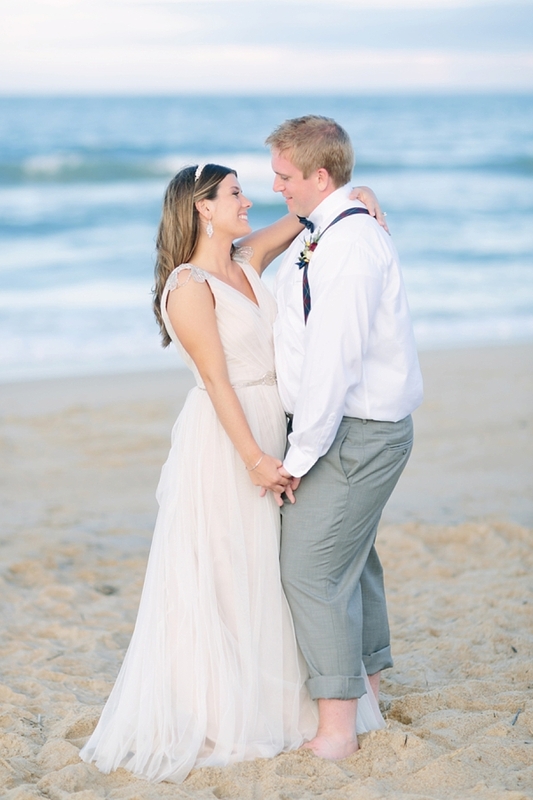 As the sun sank below the horizon on their beautiful Outer Banks day, it was clear that Natalie and Kyle's sunny adventure together had only just begun.